During these past few weeks, some strange reaction is going on in my body making me love oil cleansers, and I have been craving all of the expensive balms. 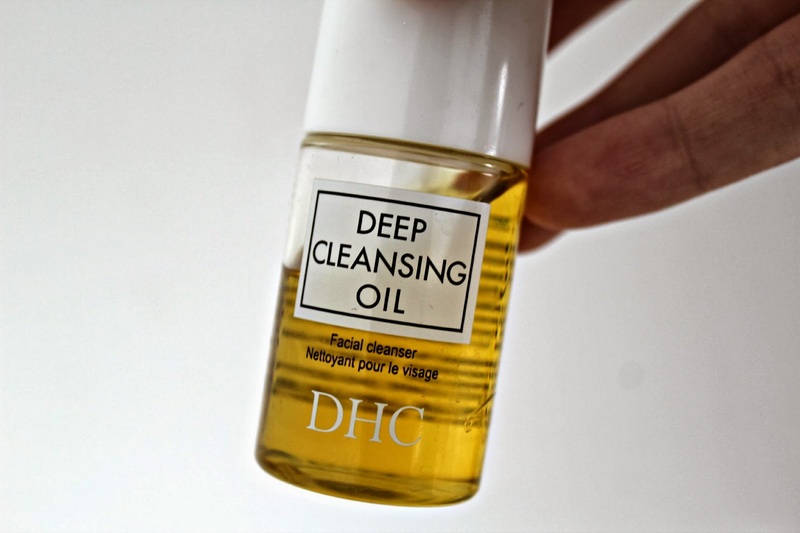 This is the DHC Deep Cleansing Oil, and I have been currently loving it, and so... what better to do, than sing it's praises in a blog post? I never used to like this, but now, we are the greatest of friends... DHC Do you accept my apology? This is the smallest size, of 30ml, costing £4.50, which is kind of pricey, with the full 200ml retailing for £21.50, so this isn't exactly high street pricing, nor high end, somewhere in between. I must say though, a few drops goes a long way. You can use this to remove makeup, by applying it onto your dry, makeup full, face, and massaging it in, and then wiping it away with a warm washcloth. Sometimes it feels a bit odd the first few times, and you are left with a film over your eyes blurring vision, so instead, I much prefer to use this after removing makeup (still on a dry face), and really massage it into the skin as a normal cleanser. It feels extremely luxurious when rubbing it in, and although I have combination skin, it doesn't feel too heavy, nor does it leave any residue. With all oil/balm cleansers, your skin isn't going to feel squeaky clean, which I don't like anyway, but instead, it feels plumped and nourished. At the moment, this has become one of my favourite night time cleansers, and maybe it will make its way onto the skincare shelf very shortly, as shown in my last post. I actually own this oil too but have been pretty nervous about using it!! I have combination skin also so it may be something I try out!! I was seriously considering this one for removing makeup, but knowing that it blurs eyes, I dont like that. that is too bad.